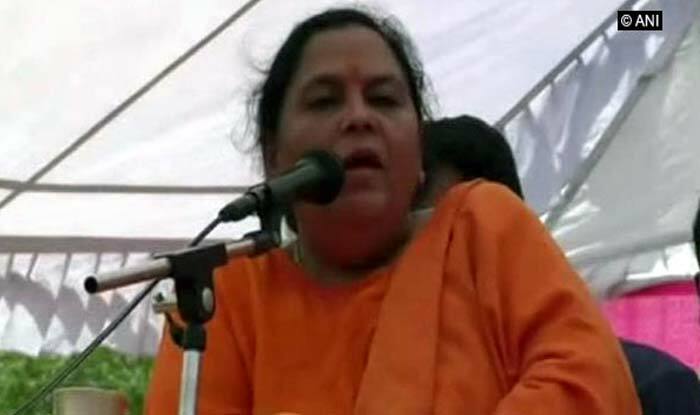 LS Polls 2019: Uma Bharti lashes out at Priyanka Gandhi Vadra, says the Congress leader is the "wife of a thief". New Delhi: In a blatant attack on Priyanka Gandhi, Union Minister Uma Bharti on Tuesday said that Congress East Uttar Pradesh Chief won’t have much impact on the ensuing Lok Sabha polls, as “she is the wife of a thief”. Uma Bharti was referring to Robert Vadra, who is accused in a money laundering case. Notably, Vadra, brother-in-law of Congress president Rahul Gandhi, is facing allegations of money laundering in the purchase of a London-based property at 12, Bryanston Square worth 1.9 million pounds. On January 30, BJP MLA Surendra Singh dubbed the Congress president “Raavan” and his sister Priyanka Gandhi “Shurpanakha”. BJP general secretary Kailash Vijayvargiya slammed the Congress for using “chocolatey faces” to fight the Lok Sabha Elections 2019.